My noticeable absence after my last post was not planned at all. In fact last Friday morning I was busy prepping my photos for my chocolate mousse with nary a care in the world. Then mid-save my laptop froze. It’s been doing that more frequently of late and as I turned my laptop off at the power switch after 15 minutes of impatient waiting I told myself again for the thousandth time this month that I must back-up. It had been too long since my last one and it was way overdue. I puzzled on how I was going to squeeze that into my already jam-packed weekend of newsletters to send, multitudes of cakes to bake and market stalls to attend and turned my laptop back on. Actually that’s not true, there was something – a very scary message asking me what language I wanted to install my software in. Uh English, like usual. Why are you asking me this, you know me. Hang on, what software? But it was too late, my laptop no longer knew who I was. I felt like Channing Tatum in The Vow when Rachel McAdams wakes up and has no memory that she’s his wife or that she’s ever seen him before. But we were having a merry laugh with my chocolate mousse photos together not ten minutes ago – how could you have forgotten me? Sadly it appears my hard drive was sick of the sight of me, after all we have been joined at the hip the past two years. Or perhaps my laptop was feeling a little touchy that I had dropped it down the stairs that morning. Whatever the gripe it paid me back big style by crashing and dying, sending all my hard work and preserve, cake stall and any other scribbled future recipes, cookbook ideas and the first two chapter of my amazing novel about invading space monkeys straight down the toilet. 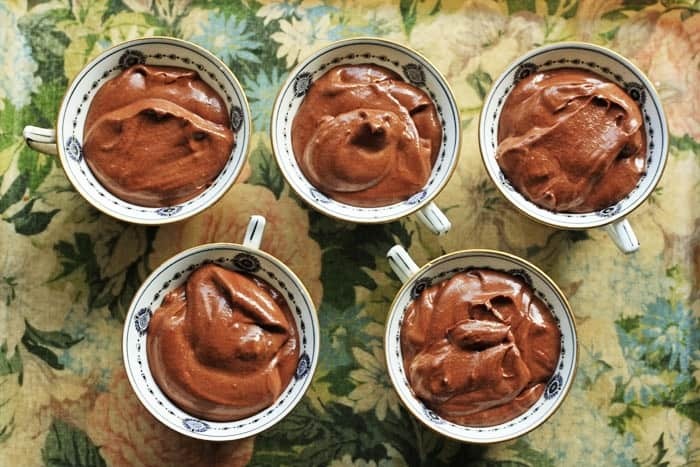 Which is why I have spent the last four days nursing my little machine back to life instead of sharing this amazing chocolate mousse recipe with you. We are still a long ways off from the good ole days as my laptop and I are gradually getting to know each other again. We are just waiting for our shared memories to be posted back from the clever people in Wales who have been working on my old hard drive to frantically rescue all my recipes and cat photos. Once those are safely home then I think I will feel a bit more myself again. In the meantime I am cheering myself by sharing this long awaited and scrumptious chocolate mousse recipe with you. 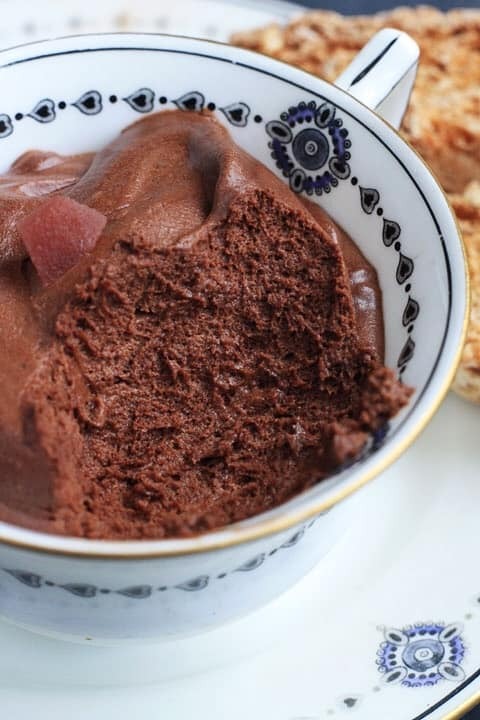 My chocolate mousse is extra special as I had planned on making it for a while, specifically to go with my pears which have been mulling away in brandy, red wine and spices for months now. Yes, these are the pears that I supervised growing in my back garden from the safe distance of my kitchen window. The very fact that they survived even this level of my dodgy greenfingery is testament to their awesomeness. Once they were plucked from the tree they deserved to be treated a little bit fancily and I have been itching to try them for an age. 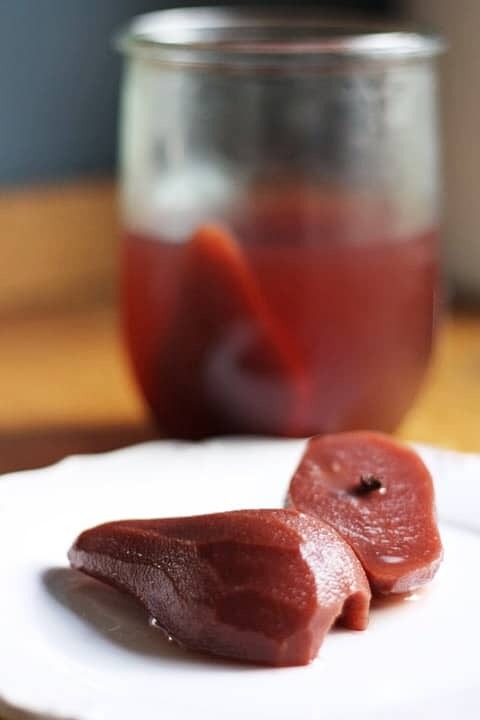 If you don’t happen to have mulled pears lazing around your larder, c’mon what’s wrong with you – you really need to step up your game, then don’t fret as pears poached in a little red wine with some cinnamon and star anise until just tender would also be absolutely delicious here. Or even, if that’s too much effort, some beautifully ripened sweet pears would also work perfectly. 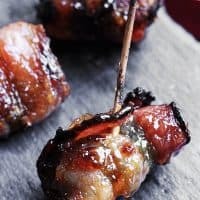 So, I had planned this recipe for weeks and weeks and was all set to make it when I remembered one vitally important thing. Oh shoot, I’m pregnant and can’t eat raw eggs (which is the secondary ingredient of beautifully real chocolate mousse). 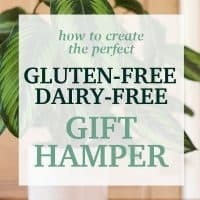 I nearly turned this recipe into a chocolate cake instead, in fact I did and it was great, but the thought of the chocolate mousse lingered on and if there’s one thing I have noticed about being pregnant is that I only want to eat foods that I am not allowed. Goat’s cheese, rare rib-eye steak and tuna, you will be mine again some day. So I decided that I would make my mousse after all and set about finding ways to make it safe for me to eat. Lots of alternative chocolate mousse recipes call for no eggs at all and just use whipped cream for the light airy texture but there is something about the eggs which add a richness and fluffiness that cream can’t replicate on its own. Nigella also makes an egg free chocolate mousse using just melted marshmallows with her chocolate in her Nigella Express, but it is a little sweet and a bit too playschool for what I had in mind. A dark dreamily intense pot of cloudlike chocolate. So I had the idea to include the eggs for the texture I required but resolved to cook them first. To do this I made a swiss meringue which involves heating your egg whites and sugar in a bain marie to 72° – a nice safe temp – and then immediately transferring them to a mixer to whisk until soft peaks have formed. Doing it this way gives a little bit of the texture back to my mousse, however, it does add more sugar than I ideally would have liked. So after a bit of research, instead of simply adding more melted chocolate to compensate I found that BBC Good Food had a great method in their traditional chocolate mousse of adding a tablespoon of cocoa to the chocolate once it had melted. This resulted in giving my mousse more intensity to combat the sweetness of my swiss meringue. It worked like a dream and that could have been that but I couldn’t resist folding in a bit of billowing whipping cream into the final mousse to add some creamy lightness. 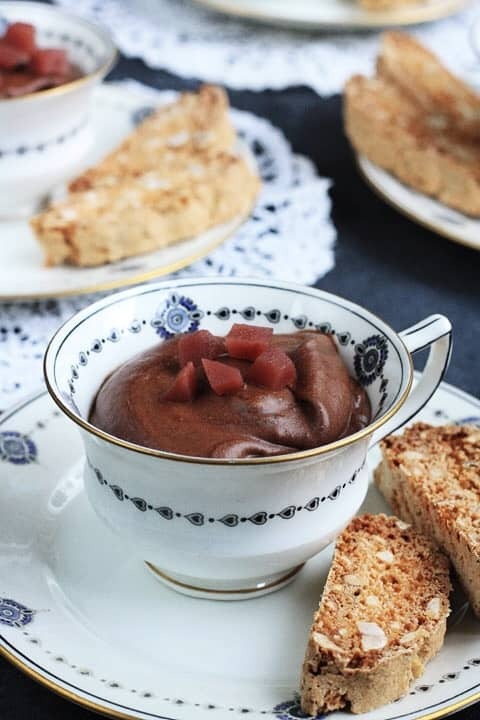 This mousse is just as good as any traditional chocolate mousse and to go the extra mile I baked up a batch of cobnut biscotti which really must be one of the simplest biscuits to make. 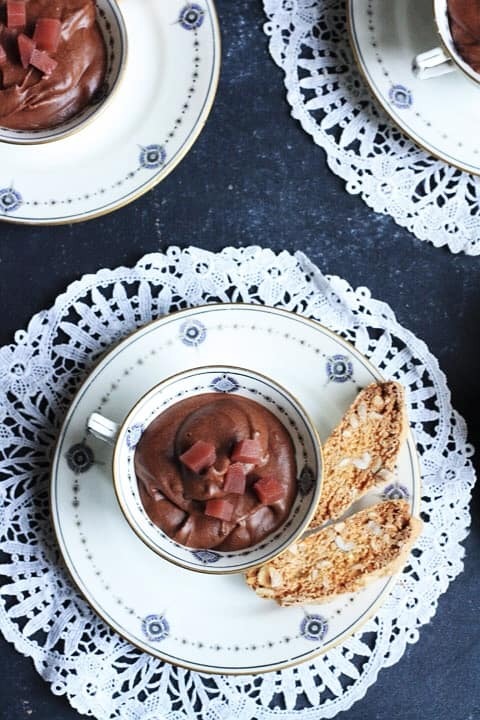 The earthiness of the cobnuts goes deliciously with the indulgent mousse and the heady pears to make an absolutely perfect treat for this time of year, or if you need to console yourself after your laptop has disowned you. So after I made the mousse and had settled down all ready to dip my biscuits in I suddenly remembered, shoot, I’m probably not really allowed to eat mulled pears either. It lasted a moment before I shrugged and dug in. It’s such a small amount of pear used (and probably only about a teaspoon of the forbidden alcohol) – surely I can’t be branded a bad mother yet – I’m only just starting out. Although I take full credit for the fact that I can’t be trusted to take care of a laptop. Meanwhile mix the cocoa powder, vanilla extract, coffee, salt and water in a little bowl until it forms a smooth paste. Once the chocolate has melted mix in the cocoa paste which will become quite thick. Continue mixing then add the hot water which will thin the chocolate down. Stir until smooth then set aside. In a clean bain marie heat the egg whites and brown sugar, whisking together all the time until the temperature reaches 72°C and the sugar has dissolved. 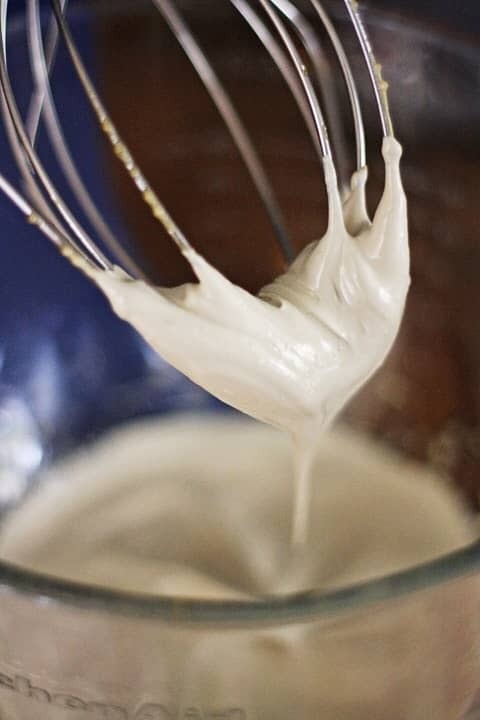 Remove from the heat and whisk in a stand mixer until the meringue forms soft peaks. Fold the meringue into the chocolate until completely incorporated. In a clean bowl whisk the whipping cream until it forms soft peaks then fold into the chocolate and meringue mixture. 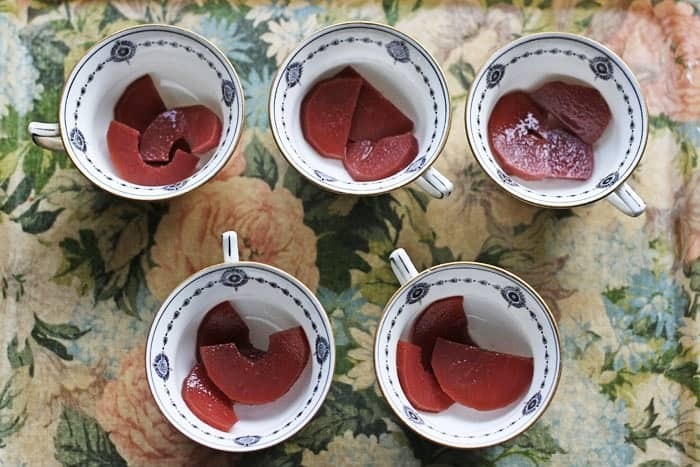 Slice the pear and place 3 slices at the bottom of a teacup, glass or small bowl then spoon the chocolate mousse on top. Leave to chill in the fridge for at least 2 hours or overnight. 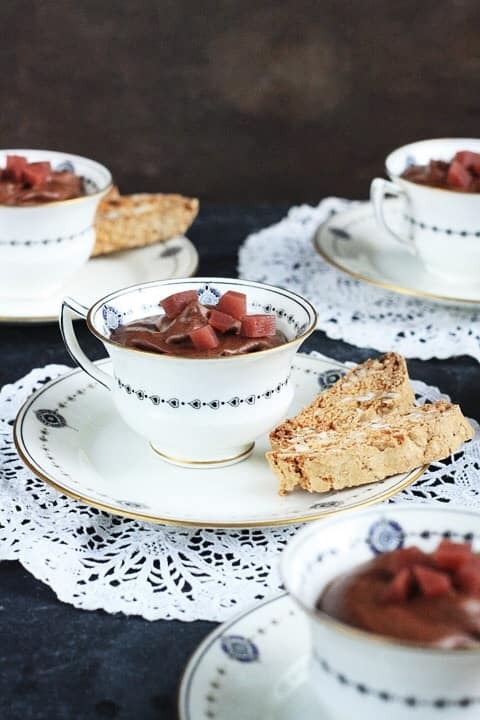 Serve with a few cubes of mulled pear on top and the cobnut biscotti. Pre-heat the oven to 140°C and line a baking tray with parchment. In a large mixing bowl mix together the flour, sugar, baking powder and orange zest. Then stir in the cobnuts. Beat the egg into the rest of the ingredients until it forms a dough. Knead together until the dough is no longer sticky. Roll the dough into a log, about 30cm long and then place the biscotti log onto the baking tray. 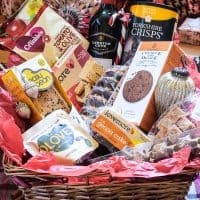 Remove the biscotti and leave to cool for about half an hour then slice the biscotti log diagonally to make the individual biscuits. Place the biscotti back on the baking tray and bake for a further 15 minutes until the biscotti are golden and crisp.